Your Biggest Weapon in Protecting Your Property! 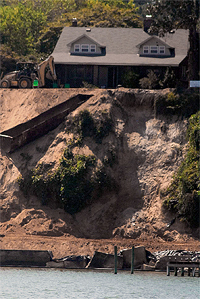 Just ask our clients who battled erosion after Hurricane Isabel in 2003. Their property was littered with debris and their embankments were becoming a part of the ocean. Property is precious, both in terms of finance and personal attachment. Acreage is one of those assets you hold dear and we understand that. 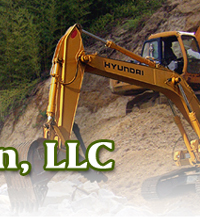 Low Country Construction specializes in Erosion Protection and Land Clearing services to assist you in your property's protection and development. 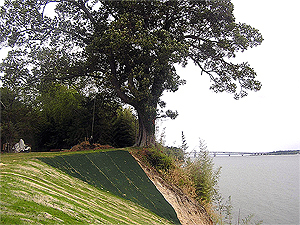 We’re experienced in revetment work – a process of using riprap, bulkheads and sometimes even vegetation to support embankments, to prevent erosion of your property. 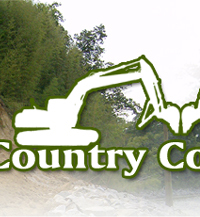 From the 50-foot plus cliffs of Virginia through North Carolina and down into the Lowcountry of South Carolina, we've provided land clearing and erosion protection services since 1998. 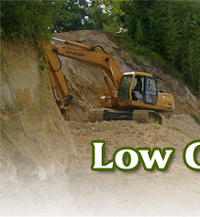 We also provide services associated with erosion protection and land development: engineering, surveying, pier installation, marine construction, pond building, demolition and site prep work are all available through Low Country Construction, LLC. So whether you're concerned about your property and protecting it from water damage or you want to develop your property into something you've only dreamed about until now... give us a call today to see if we're the right company for you! 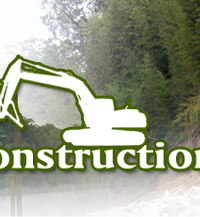 Copyright © 2015, Low Country Construction, LLC. All Rights Reserved Worldwide.